A tug of a hand, a trip into the woodsâ€”that's how the best summer of Zac and Paul's life begins. Zac loves his job as a summer camp counselor, and it's a perfect fit for him before he goes off to college in August. He almost feels like a kid again as he strives to be a positive influence on the children. Paul is a new camp counselor, still learning his way around his job, though he finds himself enjoying everything camp life has to offer. Zac and Paul start out as coworkers, with Zac teasing his shy new friend, urging him to let loose and have some fun. It soon becomes apparent that there is something more than companionship blossoming between them. 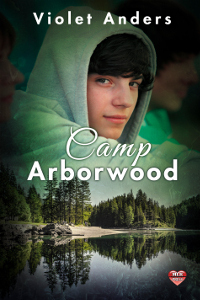 Camp Arborwood is summer loving at its best, full of uncertain firsts as what started out as a bit of fun between Zac and Paul turns into a real relationship instead of a summer fling. Join them in their adventure as they discover what it means to fall in love.